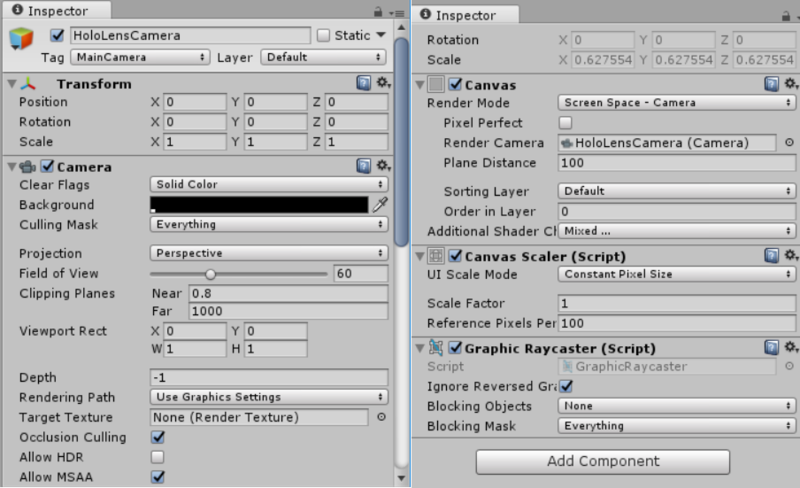 I have my interface on the canvas element, and the Render Mode of the camera set to Screen Space. I made a build in virtual reality mode. I don´t know why, but my interface is appearing upside down when I run the app on Hololens. Why? The screen appears also cut off a little bit on the borders. Here is the configuration of the Camera (on the left) and of the Canvas (on the right). Solved. Uncheked Allow MSAA option. In my case, I was having the same problem but in Mixed Reality using the Lightweight Rendering Pipeline. Disabling "Allow MSAA" in the camera did the trick.